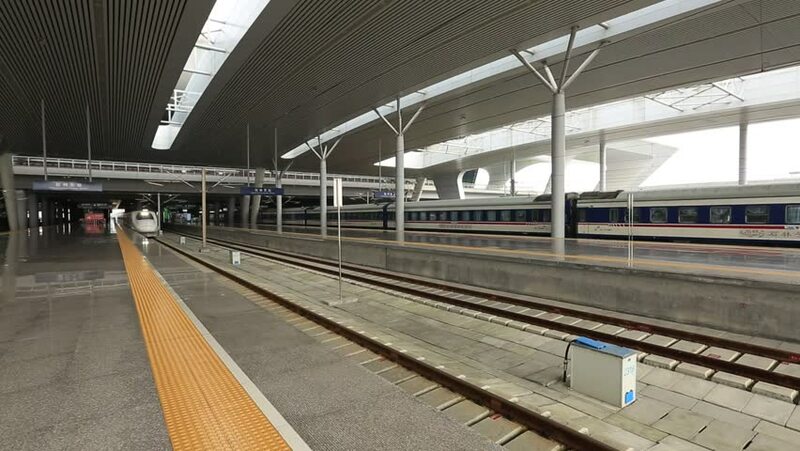 Hangzhou - October 6: Hangzhou east railway station, a bullet trains start for Shanghai , on October 6, 2014 in hangzhou, China. China's latest bullet trains a top speed of 380 km/h. 4k00:33London Subway passing in the background of an empty train station, Paddington, London. 4k00:16DUBAI, UAE - JANUARY 2017: day time dubai mall luxury store hall interior crowded escalator down view 4k circa january 2017 dubai, united arab emirates.